Within the fried fish category the study did unfortunately not distinguish between regularly fried (left) and breaded or otherwise crumbed fried fish. While this may be simply because they simply didn't have the data, it clearly reduces the practical value of the study. Sometimes, eating healthy can be more difficult than you'd think. Let's take your two weekly servings of fish as an example. With fish, there are the issues with nasty heavy metals and plastics in wild-caught and the increased omega-6 fatty acids in farmed fish that I've addressed at length in my 2013 and 2014 articles "Making the Right Fish Choices: Fatty Acid Contents of 33 Different Fish Species" (read it) and "Farmed vs. Wild-Caught: Pollutants and A Low Omega-3/6 Ratio" (read it). Unfortunately, it doesn't stop there. Whether or not you will see the full, if any health benefit you certainly will have heard of, will not just depend on making the right fish, but also on making the cooking choices. Choices I will briefly address in today's SuppVersity article. POPs in Fish Oils are Toxic! 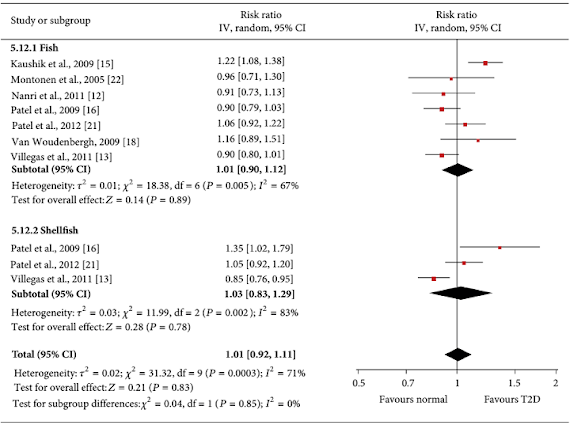 [...r]esults from epidemiological studies on fish consumption in relation to risk of developing diabetes have [...] been largely inconsistent and inconclusive[; with s]everal meta-analyses hav[ing] highlighted the heterogeneity of results and brought attention to potential geographical differences, with inverse associations observed in studies conducted in Asia, overall null associations in European populations and higher risks in US populations." (Wallin 2017). Next to the type of fish that is consumed and the corresponding level of contaminants (see links above), scientists have long suspected that the way the fish is prepared "could possibly help explain the discrepancy between the findings" (Wallin 2017). Figure 1: Frying could explain the heterogeneity (from 22% increase to 10% decreased T2DM risk) with high(er) fish intakes in previous studies (forest plot from Zhang 2013). 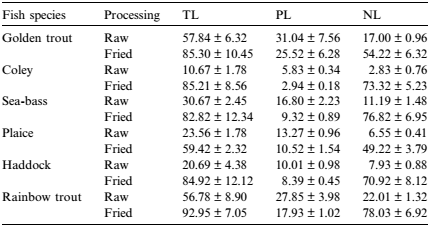 Figure 2: Among other things, frying will reduce the amount and ratio of healthy polar lipids (PL) while increasing the amount of total (TL) and neutral (NL) lipids as you will find them in processed meats (Perkins 1983), too (Nomikos 2006). changes in fatty acid composition, lipids and the vitamin content of fish, meat and other foods that usually end up in the frying pan before they finally make it to your plate , I've discussed at length in previous articles (learn more). 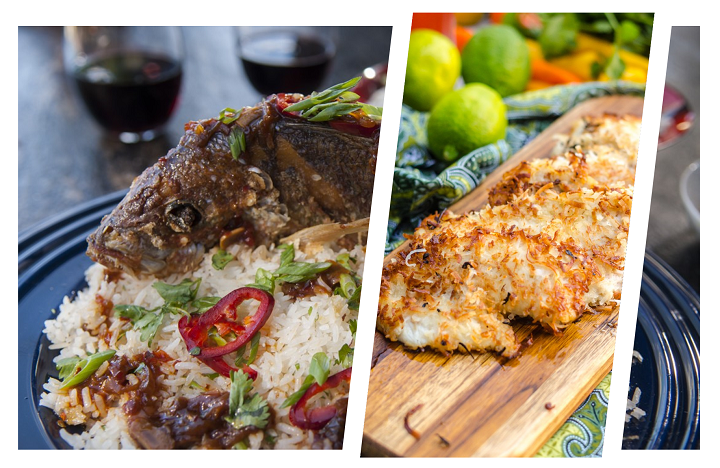 In view of the fact that studies which focussed on the CVD-protective effects of fish have already pointed towards a potential difference between fried and non-fried fish dishes, a re-analysis of the data as it has now been conducted by Wallin et al. was overdue. If you hate boiled or steamed fish, I suggest you bake your fish. According to a 2006 study by Mozaffarian, baked fish shares the same beneficial health effects as boiled fish... ok, that's not a T2DM study, but considering the fact that the scientists observed associations between fried fish consumption and left ventricular (LV) wall motion abnormalities, reduced ejection fraction, reduced cardiac output, and, possibly, larger LV diastolic dimension, it doesn't seem to be unreasonable to assume that baking your fish is much better than frying it. For their re-analysis, the international team of researchers used the population-based "Cohort of Swedish Men", which includes 35,583 men aged 45–79 years, who were followed from 1998 to 2012. Figure 3: Odds ratio (1.00 = no increased risk; 1.27 = 27% increased risk) for developing type II diabetes according to frequency of fried fish intake per month; the graph shows the results adjusted either for age, only (blue), and for age, BMI, activity, education, smoking, and several dietary factors (orange | plotted based on data from Wallin 2017). shellfish consumption (≥1 serving/week vs. never/seldom) 21% increase in T2DM risk (1.21 | 95 % CI 1.07–1.36), respectively. In this context, it is clearly worth mentioning that the risk due to a high fried fish consumption was not modified when Wallin et al. further adjusted their already age-, BMI-, activity-, education-, smoking-, and diet-adjusted data for the dietary exposure to polychlorinated biphenyls (ng/day, quintiles) and methyl mercury (µg/day, quintiles) from fish. The scientists were likewise able to exclude any influence of the type of fish that was consumed: the diabetes risk for herring and mackerel, salmon, whitefish, and char, as well as cod and saithe were quasi-identical. I know, I know steaming can be a real hassle (compared to frying). Thus you will probably be delighted to hear that - unlike olive oil, which deteriorates in the microwave oven - fish can be steamed in the microwave without ill effects on its nutritional value | more. So what's the verdict? Never fry your fish? With adjustments for almost all relevant confounders and evidence that the increased diabetes risk is not a function of the intake/exposure to environmental pollutant, the study at hand does indeed suggest that you should avoid the regular consumption of fried fish. And what I find most astonishing is that (a) "regular", in this case, is not daily or every other day, but only 1-2 times per week. It is thus only logical that the scientists' restricted cubic spline model estimates the T2DM risk increase per weekly serving of fried fish by a statistically significant 7% (HR 1.07 | 95 % CI 1.02–1.11). This number is clearly high enough to warrant that we reconsider out fried fish consumption, ... well, at least, if it were not for one important methodological shortcoming the lack of adjustment for (a) the type of cooking oil and (b) a distinction between breaded/crumbed and plain fried fish. Until corresponding data is not available, I wouldn't start to panic, after all evidence that would support the importance of "packaging" comes from both the previously cited (see red box) and an older study by Mozaffarian et al. (2003) who were able to show that fish sandwiches intakes had none of the heart relevant benefits of boiled or baked fish | Comment on Facebook! Birlouez-Aragon, Inès, et al. "A diet based on high-heat-treated foods promotes risk factors for diabetes mellitus and cardiovascular diseases." The American journal of clinical nutrition 91.5 (2010): 1220-1226. Felton, James S., et al. "Health risks of heterocyclic amines." Mutation Research/Fundamental and Molecular Mechanisms of Mutagenesis 376.1 (1997): 37-41. Mark, Alicja Budek, et al. "Consumption of a diet low in advanced glycation end products for 4 weeks improves insulin sensitivity in overweight women." Diabetes Care 37.1 (2014): 88-95. Mozaffarian, Dariush, et al. "Cardiac benefits of fish consumption may depend on the type of fish meal consumed." Circulation 107.10 (2003): 1372-1377. Mozaffarian, Dariush, John S. Gottdiener, and David S. Siscovick. "Intake of tuna or other broiled or baked fish versus fried fish and cardiac structure, function, and hemodynamics." The American journal of cardiology 97.2 (2006): 216-222. Perkins, Edward George, and W. J. Visek, eds. Dietary fats and health. No. 10. The American Oil Chemists Society, 1983. Zhang, Ming, Eliane Picard-Deland, and André Marette. "Fish and marine omega-3 polyunsatured fatty acid consumption and incidence of type 2 diabetes: a systematic review and meta-analysis." International journal of endocrinology 2013 (2013).